Like Barack Obama? 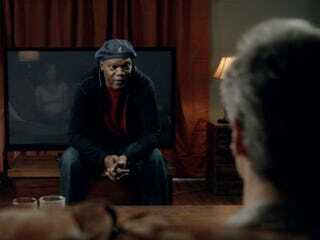 Samuel L. Jackson? What about profanity? It could be your lucky day, because all three are wrapped up in an "adult-themed children's story" specially made for supporters of the president's campaign who need a little firing up. And if the PAC that created it and author Adam Mansbach accomplish their goal, the R-rated rhyming tale not only will entertain but will also rid you of any pre-election apathy. If the online spot itself feels somewhat familiar, that's probably because it is supposed to. (It also means you're probably in the target demographic.) It again teams Jackson with Go the [F—k] to Sleep author Adam Mansbach, who wrote the ad's script. Jackson's reading of Mansbach's "children's book for adults" proved to be rather popular with the kids. JCER is clearly hoping their follow-up will be too.